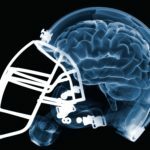 Last month, the attorneys at Raizner Slania filed six class action lawsuits asserting concussion claims against The National Collegiate Athletic Association (NCAA) and several Division 1 universities and athletic conferences for failing to implement proper safety protocols and for concealing the dangers of concussions to student athletes. 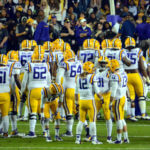 Raizner Slania filed four additional NCAA concussion lawsuits against the NCAA, the Big Ten Conference, the Southeastern Conference, and the Atlantic Coast Conference. The cases involve student athletes from Duke University, the University of Tennessee, Ohio State, and the University of Michigan (See Owens v SEC, Lee v Duke, Griffin v Big Ten, and Strinko v Big Ten). For decades, the NCAA has known the long-term dangers of concussions and concussion-related injuries; however, they actively concealed this information from their athletes. This has caused former student athletes to suffer neurological and cognitive damage. Over time, repeated concussions and head trauma greatly increase an athlete’s risk of developing long-term brain injuries, including memory loss, dementia, depression, Chronic Traumatic Encephalopathy (CTE), Parkinson’sDisease, Lou Gehrig’s disease and other medical problems. Unfortunately for athletes, these symptoms and conditions often do not occur until long after they play their last game. The National Football League (NFL) was recently ordered to pay compensation to retired football players who developed neurological disorders, including CTE. Unfortunately, the NCAA has not taken responsibility for failing to protect students and concealing concussion risks. Overseeing 400,000 student athletes from 23 different sports, the NCAA’s inaction caused an epidemic that has harmed many college athletes. Because there is no way to stop the progression of mental conditions like CTE, special care must be taken to help prevent head injuries and to compensate victims for injuries already sustained. 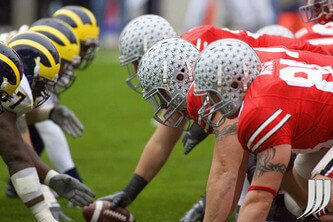 The NCAA has a duty to protect student-athletes. The association gains financially each year from these players yet provides nothing after they graduate and resume normal life. If you or a loved one experienced brain trauma after suffering a head injury while playing for an NCAA regulated team or other college sports organization, please contact the attorneys at Raizner Slania. Our consultations are free and confidential, and we work on a contingency fee basis, meaning you owe us nothing unless we help you obtain compensation.